Could Your Bathroom Habits Increase Your Risk of Parkinson's? Did you know that the number of times you visit a bathroom every day can determine your risk of Parkinson's disease? I know it sounds crazy, but it's true. I had a patient several years ago who suffered from an extreme case of Parkinson's disease. But, strangely enough, she would make a dramatic recovery any time she had a bowel movement. One day she could walk around and function quite normally. The next day, though, she would have advanced Parkinson's-like symptoms. Then she would completely recover a few days later. This one step can strengthen aging muscles, boost your immune system, and even help you manage your weight. As part of an ongoing long-term (24 years) study, a research group recently confirmed what I've long suspected. They found that many cases of Parkinson's disease can be linked directly to constipation. Over 8,000 men participated in the study. The researchers divided the men into four different groups according to how many bowel movements they had each day (less than one, one, two, more than two). Their results showed that your risk of developing Parkinson's is four-and-a-half times greater if you have less than one bowel movement per day versus having more than two. 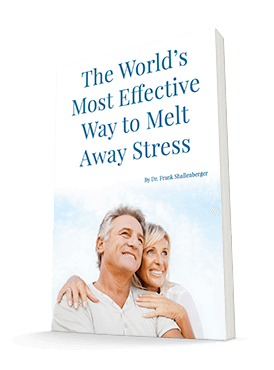 The authors believe that degeneration in the central nervous system causes constipation. And as that degeneration progresses, it might also lead to Parkinson's. I have a different theory: I think the constipation itself leads to damage to your nervous system. Here's why: I've long known that bacterial toxins absorbed into your bloodstream from your gut will directly attack the cells in your nervous system. We also know that pesticides contribute to the development of Parkinson's. This study reconfirms suspicions that toxins damage these controlling nerve cells. Millions of men and women are developing this crippling disease. By the time symptoms manifest, the damage has been done. I believe the majority of cases can be prevented. All you have to do is eat organic foods, which eliminates your intake of pesticides, and increase the amount of fruits and vegetables in the diet. This gives you better bowel function and larger stools, minimizing the amount of time the toxic material is in contact with your colon. You can get additional protection by taking plenty of antioxidants, particularly vitamins C and E. I also recommend the mineral selenium. All of these help maintain and recycle abundant levels of glutathione, your body's principal detoxifier. And, finally, reduce your heavy metals and iron with chelation therapy. The best management of Parkinson's disease, like most chronic degenerative conditions, is prevention. It doesn't have to happen!